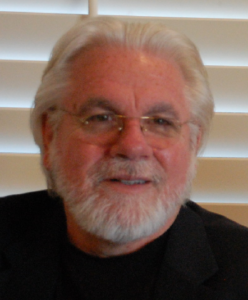 Michael Carroll’s professional journey, which started on Wall Street, included time as a successful Vice President of Human Resources with Shearson Lehman/American Express, Paine Webber, Simon & Schuster and The Walt Disney Company. Since 2002, Michael has been working as a consultant and executive coach to create workplace cultures where people thrive, and his clients include companies such as Procter & Gamble, Starbucks, Unilever, Comcast, AstraZeneca, and Google. 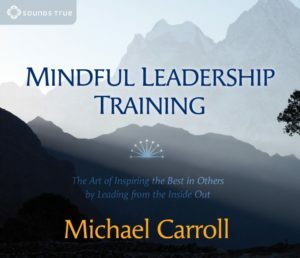 Michael is also the author of three great print books called Awake at Work (2004), The Mindful Leader (2007) and Fearless at Work (2012), and the new audio book Mindful Leadership Training: The Art of Inspiring the Best in Others by Leading from the Inside Out. Michael spent many years training with the famous Tibetan mindfulness teacher, Chogyam Trungpa Rinpoche, and is now an accomplished teacher in his own right. 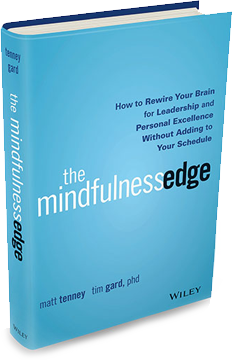 He has lectured on the topic of leadership and mindfulness at prestigious institutions like Wharton Business School, Columbia University, and Yale. Michael is also a good friend and teacher, and one of the wisest people I know. 54:52 – If Michael had 60 seconds left to live, here’s the advice he would give how to live an awesome life. To connect with Micheal Carroll, please visit www.AwakeAtWork.net.